This audio book is obviously made from a normal book and lacks proper editing. There are sections in the book that talk about a chart in the book or say to see example pictures. This book is also very repetitive,in one section it says to refer to a specific section after each pparagraph. 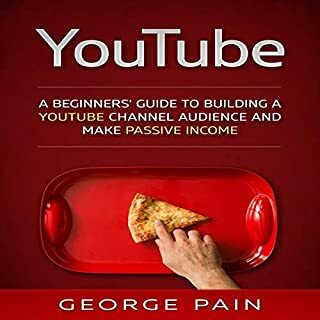 There is nothing in this book that talks about the author having a YouTube channel so I don't really feel like I should trust his opinions on how to grow my channel. Overall it is a decent book but I would like to see better editing in the future. Are you looking to reduce your stress levels? Learn how to live in the present and become more peaceful. Mindfulness is one of the proven remedies of dealing with the mind disease that is increasingly becoming acute as time goes. This book is great at describing mindfulness and all the benefits of it but I'm still lost as to how to get there. The book has a part where it says to avoid anxiety and it lost me there, I don't look for anxiety it just shows up. 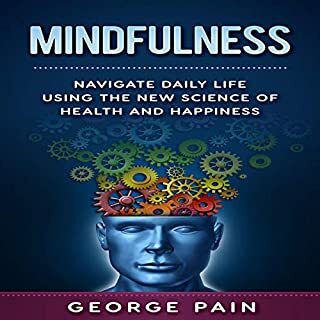 I did enjoy listening to all the benefits of mindfulness so I gave this book four stars. I would recommend it to anyone looking for something positive to listen to during the day. By mastering the art of nonverbal communication, you will have more successful interactions with other people, reducing the risk of misunderstandings, confusion, and social awkwardness. This book says that a certain body movement could be one thing or the opposite but then goes to say it could be completely different based on the person. It also says that body language is very difficult to hide or change but this is a book on how to master it. I feel this book is very confusing and while it talks about body language and possible meanings there is nothing very solid in this book. Also there is a recap section at the end and it just rereads different parts of the book, they are not expanded on or anything just reread. This section made me think my app had messed up and went backwards only to see it was a new section. 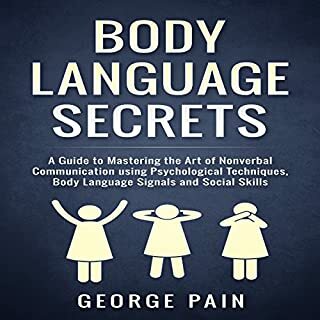 Overall I would not recommend this book, if you want to learn about possible meanings for body language it is decent but don't expect to learn anything solid from this. Minimalists are people who consciously and intentionally try to live with only what they really need. The mantra would be: "Identify the essential, and eliminate all else." Minimalists are against uncontrolled consumption. It seems that when you have more things that you can use and want more than you can afford, you enter into a vicious cycle in which your things do not work for you, but you work for them in order to impress other persons and raise your status in life. 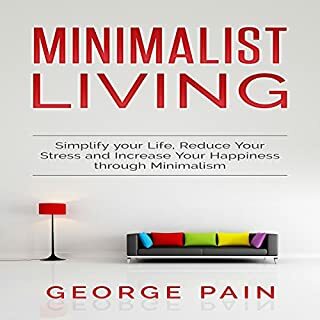 This book really explains minimalism well! I just finished listening to this book and I feel like I have a better understanding of what minimalism is and how to go about it. I can't say I agree with the part about a memory out lasting a pair of heels 😉 but I think there are a lot of good tips and suggestions in this audiobook. I love how the book suggests starting with one item a day for the different activities and working up from there. I think this is doable for everyone and much easier to grasp then to do your whole life today. I like that the book didn't say you have to have nothing to have a minamialist lifestyle; but to focus more on what matters to you. Overall I would suggest this book to anyone interested in minamalism or wanting to know what it is about. This is a book that will not only save you a lot of time, but it will also help you function more efficiently. It will boost your productivity and put you in the lane to success. No, I am not selling some magical product. I am merely teaching what most successful people already know. Most of the successful people don't just read, they soak up information like sponges. Their eyes and brain are trained to run smoothly as a unit that results in enhanced focus and increased comprehension. The narrator was very clear. 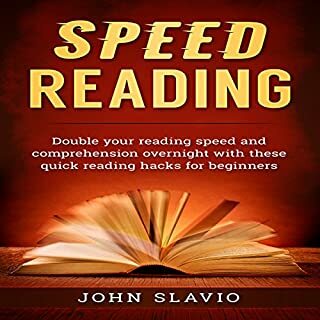 This book gives you a lot of tips on how to get better at speed reading. I like how it starts by telling you how to find the rate you read at. The book breaks down each reading level and explains the most common reasons to be at these levels. I enjoyed listening to this book and would recommend it to others who are interested in speed reading. Are you a skilled soccer player who can't make it big? Is it because of your lack of physical and mental fitness? Soccer Fitness provides an excellent way to help with soccer fitness for players and coaches. 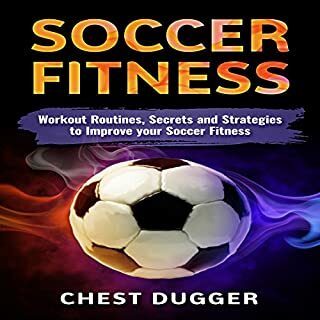 It offers examples of ways in which players can enhance their endurance for playing soccer and looks at the kind of fitness specifically needed for playing soccer at the highest level. Good Audio Book, Covers A Lot! This book is a good book to learn to be a better soccer player. It gives you exercise ideas and suggestions, it is a bit odd because there can not be pictures but they are described well. This book also separates kid and teen players from professionals. I think that is very important because a lot of times I think kids and teens hear about professional players and they want to be like them. The problem with younger people trying to follow advice for professionals is that their bodies are not ready for the same amount of work. I found this book relaxing to listen to and I used it with my kids who like to play soccer. I received a free copy of this audio book in exchange for an honest unbiased review. This has not influenced my opinions on the product. I have written honestly about my thoughts and opinions on the product. As an audiobook this is so confusing. The fist eight chapters of this book are just telling you what the book is going to tell you and the table of contents. 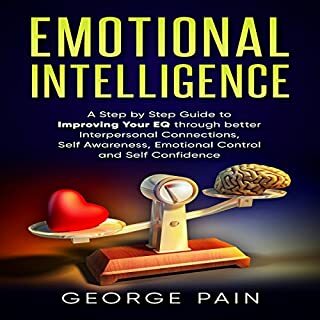 When it finally gets into telling you what emotional intelligence is and how to improve yours, it is all over the place. Some places say that EQ is more important than IQ, while others say they are equally important. The examples in this book are extreme and I did not find them to be pleasant or needing to be so extreme. There is one where a mother beats her kid and he dies from the injuries over cake. Why does this need to be the example used for low EQ. I suppose I could just have low EQ and I am easily offended but I found this book to be very offensive in the topics it used for EQ. It talks about suicide, depression, murder, and other items that are clearly not seen in a good light. As someone with depression I find it odd that the book relates depression to low EQ when it is a psychological issue. Overall I was not a fan of this book. I would not recommend it and I won't be listening to it again. I did receive a free copy of this book in exchange for an honest review. This has not influenced my opinions on the book. Out of all the blogging platforms, the best and most famous blogging platform is WordPress. This is because it makes setting up your blog really easy along with providing you a flexibility to make any kind of changes in your blog anytime you want. Moreover, with its plugins feature, you can add any kind of functionality to your blog. All it takes is few mouse clicks here and there to add such great features to your blog. This is a great audio book because you can do the steps as they are talked about in the book. 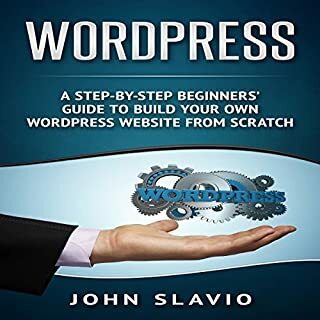 There are a lot of different topics covered and this book gets you to a place where you are ready to start Blogging. I like that the book gives suggested items to add to your blog and suggested sites to use. I feel like the options are overwhelming sometimes and having the book give you a handful of recommend items is nice. This is a great book if you want to start a blog, I already have a blog but this book is still helpful to me. The only part that was a little weird for me was the section where it tells you to use retail me not, I just felt like it was unnecessary but oh well. I received a free copy of this book in exchange for an honest unbiased review. This has not influenced my opinions on the book. When I first got this book I expected to learn about Google Adwords but this book went into a lot of details about each step. It has examples to explain the different point and it goes through each section one step at a time. 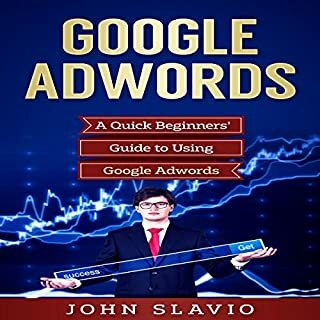 I enjoyed listening to this book and I know understand Google Adwords better. I am excited to use this book to use Google Adwords in the future. I would recommend this book to others who are interested in learning how to promote their business with this program. This book is written well and offers a bunch of great advice. There are several suggestions of how to complete the rituals. 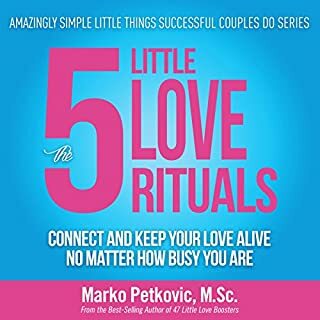 This book says that you do not need to have your partner on board to do these steps and I guess you don't but it seems like it would be a one sided relationship. When I first started listening to this book the author's accent was a little difficult to understand but after listening for a couple minutes it became easier. *I received this book for free in exchange for an honest unbiased review. This has not influenced my opinions on the book.